That is a very important question to ask. 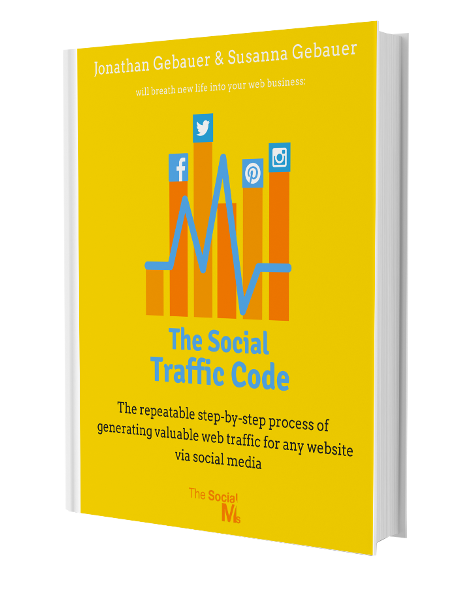 We write a blog about social media marketing – there are probably few topics on the web that are covered with more content (that includes bad content, good content, and even great content) on the web than Social Media Marketing. The competition is huge. We aim to add value and not simply copy from already existing content. It is not our goal to cover the same topics that were already covered a million times. Or if we do that we, at least, try to add a special, personal twist. In content marketing, there is a lot of talk about “unique” content. But that is not all you need to be successful with building your reputation and brand. What really counts is the value you add to the mix: The additional value you provide with what you do and share. Maybe we marketers should rather talk about providing unique value instead of unique content. That’s something that is often underestimated with curated content: Curating content does not mean you can simply collect links, data or information and republish them: You have to add your own take, a new angle, commentary or disagreement. It is great to collect information. But only aggregating other people’s content is not enough. 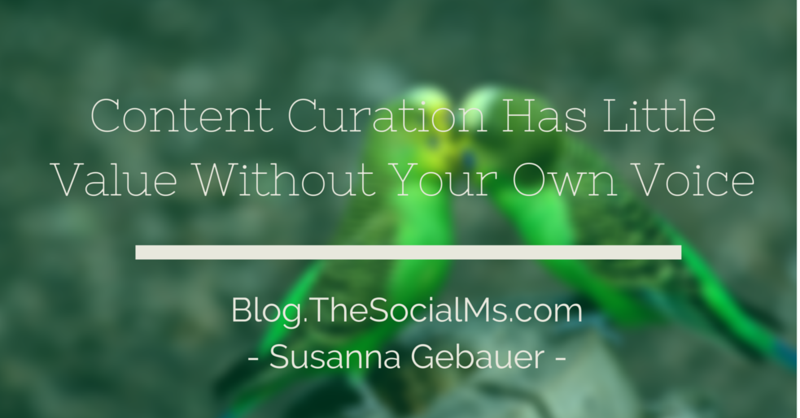 Content Curation Is Not Content Aggregation! And that is exactly where content curation turns into a challenge. If everything is already said, if all information is already presented, it gets hard to find your own voice and add value to give to your audience. Why should anyone read your content, if it only is a copy of other (better, more original) content we can find somewhere else? That does not mean your content should not be inspired by other people’s content or link to great content. You simply have to be very clear: What is the value of your content in relation to other people’s content? What is the value that YOU provide? Heidi Cohen lists several great methods to curate content and interesting content curation examples in the above-mentioned article. But there are also downsides of content curation where even “original” or “unique” content on the web is not the best you can create for your blog or brand. A while ago I was asked to share some Social Media advice for an article that collected tips from many social media influencers. The idea for the article was good: Share the best advice a number of influencers have to give. The article may even have been really interesting to readers. But the author added nothing to the content. He himself did not share his own tips. You might argue that guest posts don’t give anything from the owner of the blog either. But that is clear the moment you accept a guest post for your blog: You are not the author, it is not your voice. If I publish an article, it is my voice you should hear. The article should contain something from me. Some information only I can give. The fine art of curating content is to add your own view. Sometimes it is hard to add own value to an already covered topic. Covering a topic, that has not been covered before will give you your own voice in a natural way. You simply add value by opening the discussion about a new topic. 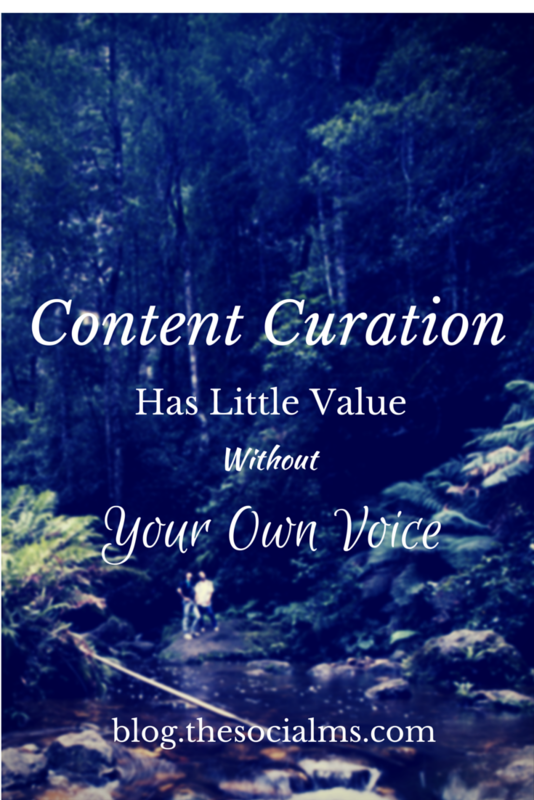 When you go for curated content, make sure you still have something to add of your own. Even if content curation sounds easy, it can be hard to find a new angle. In the end, it might be easier to cover a new topic, open a new discussion. If you are not sure what you can add to an “old” topic, do not go for content curation.